As we run ever closer to the UK Nationals, we want to tell you all about the exciting things that are going on there. Julia Swallow (or Julia Foxwell as many will know her) is a world level medal winning competitor. She’s going to be coaching at the UK Nationals this year in case you didn’t already know! For those that don’t know you, tell us a bit about your history and experience? I’ve been skydiving for 26 years and have around 8500 skydives. I am an FS jumper, most of which has so far been 4 way. I have won British Nationals 4 Way Open 8 times, 7 being with Satori and once with Airkix with whom I also won the Female World Championships. I have also won the British Nationals 8 Way Open which I did, along with winning the 4 way, 5 months after giving birth to my Daughter.I have competed at five World Championships, four being in 4 way and 1 in 8 way. I have also competed at a number of World Cup’s and won a Bronze medal with Satori. I have a number of British and World Records in large formations as well as 4-way records. You’ve not been around for the scene for the last season and a half. What have you been up to? After returning from the World Championships in Chicago, I was surprised to find out I was three months pregnant with my second child. Elliot was born in April 2017. Chloe, my daughter, had only just turned 2 when he was born so since then I have had my hands full with those two! You used to run the Satori Academy, what impact do you think that had on the formation skydiving scene? Satori Academy is something that I am immensely proud of. I saw for many years there was a need for something like Satori Academy.Once I felt I had enough experience both within competing, coaching and understanding the dynamics of being in a team I launched Satori Academy. Over the five years it was running we formed 35 teams, a lot of which in some form or another are still continuing today.Some of the success includes Kesshin who moved up the categories and competed at the World Cup. We have also had a number of Gold, Silver and Bronze medals in all categories. When Satori Academy was running, the British Nationals saw its highest number of teams entering.When you looked at the teams that were there, a large amount were either existing Satori Academy teams or people that had been in the academy on previous years. Friendships were formed and there was even a marriage of which they now have a little boy. A lot of the people that joined Satori Academy said that if it wasn’t for the academy they wouldn’t have been competing and sadly would have left the sport. Instead, those people were enthusiastic, hungry to skydive and their progression was really impressive. So you’re coming to the 4-way UK Nationals to offer free coaching which is exciting. Is this a precursor to you returning to starting up the Satori Academy again? I have missed being at the UK Nationals and around skydiving in Britain. There have not been many Nationals where I have not competed at over the past 20 years, so I am really excited to be coming along to coach, catch up with friends and meet some new competitors.I would like to do something next season with Satori Academy. As I am mainly based at Skydive Algarve its likely to be run from there, but I am keeping an open mind on what I will be offering until after the British Nationals. There are some who say that once you have finished your training during the season, that a coach isn’t going to help you fix all your mistakes mid-competition. Do you agree? As a coach at the nationals, I am not there to give any ‘new’ information to trained teams. 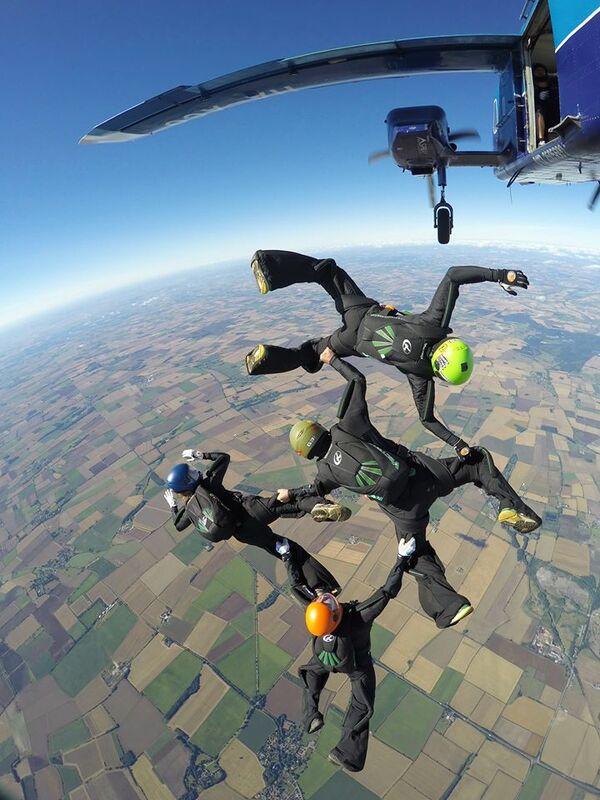 I will gladly give new information to teams that require it to improve their Nationals experience, but for the trained teams there is so much more I can help them with other than the technical aspects to a skydive. The mental element to the sport is way more important to focus on at the Nationals and that is where a coach is valuable before each round. I will be available for all teams regardless of experience and category. I hope you all keep me busy!